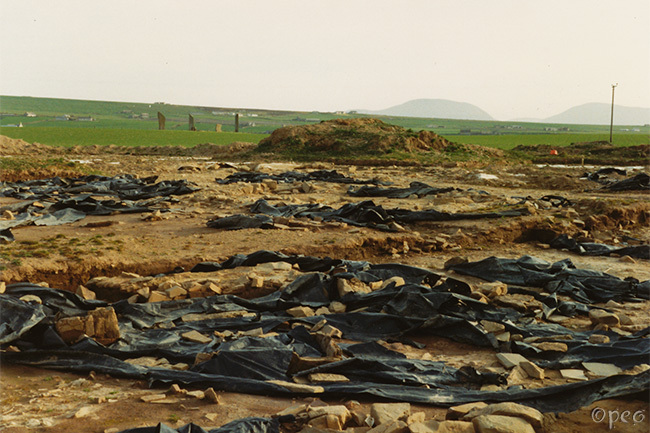 The first photo was taken in 1989, and the ones to the right in 1992, when the village was excavated. More information here. It's situated on the southern shore of Loch of Harray on Orkney mainland. In the background you can see Stones of Stenness.